April 16, 2013  Adam Johnson took the fiction prize for The Orphan Master's Son, his sharp take on life in the authoritarian regime under Kim Jong Il. April 15, 2013  "The world media run headlines about the Korean peninsula being on the brink of war. Of course it's not on the brink of war, it's just [the] normal show," says Andrei Lankov, who has studied in the North and follows it closely from Kookmin University in Seoul. 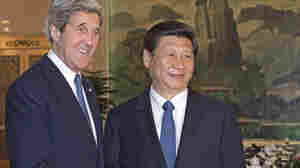 April 13, 2013  Secretary of State John Kerry is asking China's government to help ease tensions on the Korean peninsula, where North Korea has issued threats of war as it tests its weapons systems. The top U.S. diplomat met with Chinese President Xi Jinping in Beijing two days before a North Korea-promised missile test. April 12, 2013  While condemning North Korea's recent rhetoric as "unacceptable," the secretary of state also said the U.S. wants to talk — if the North is serious about discussing denuclearization. April 11, 2013  Progress Kentucky came under fire in February when it attacked Senate Minority Leader Mitch McConnell using his wife's race. 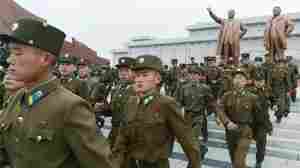 Will North Korea Claim Victory And Stand Down? 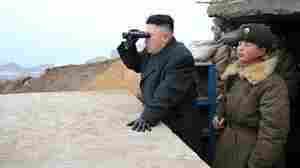 April 11, 2013  The North is expected to test another ballistic missile in the next few days. Its rhetoric has been hot in recent weeks. But there's a case to be made that once the U.S. and South Korea wrap up military exercises, the North will declare it won this war of words. April 10, 2013  South Korean officials say the North has made preparations and looks ready to make its next provocative move. The mood in Seoul remains calm, however. April 9, 2013  On Tuesday, the North said tourists and foreign companies in the South should leave because nuclear war may be imminent. But people in Seoul have heard such talk for years. 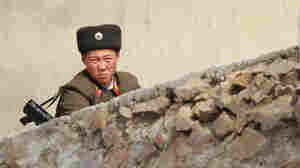 They think North Korean leader Kim Jong Un is trying to bolster support at home with such threats. April 8, 2013  The factory complex inside North Korea produces products for South Korean companies. It has been a rare example of cooperation. 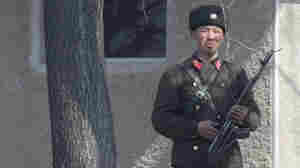 Now, it's caught in the latest round of escalating tensions on the peninsula. April 5, 2013  Tensions are high. 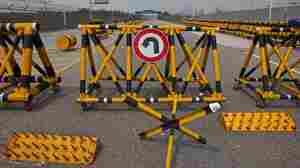 But South Korea says it does not plan to remove its workers an industrial complex inside the North. Also, while a Russian diplomat says North Korean officials have asked that it consider evacuating staff, no such action is planned at this time. April 4, 2013  ANALYSIS: The threats are coming almost daily. But put what's being said by North Korean leaders in context, and remember, we've heard this before. Still, war on the Korean peninsula would be disastrous. So the talk can't be dismissed. 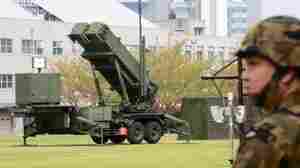 April 4, 2013  South Korea's defense minister says the missile could have been moved for testing or for drills, and that there's no sign of military mobilizations that could suggest preparations for a full-scale conflict. 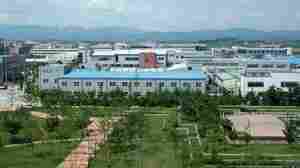 April 3, 2013  South Korean companies employ about 55,000 North Koreans at the Kaesong Industrial Complex. 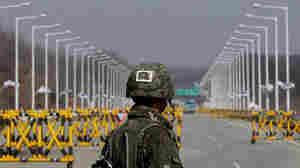 But the North has blocked trucks and workers from the South, as Kim Jong Un's regime continues to express its displeasure with U.S.-South Korean military exercises.